In this capitalist,Â highly technologised world we live in stress is a condition that affects most people.Â Â It is often inescapable. While ongoing stress is a serious mental health condition, short intervals of stress supposedly can be quite useful. 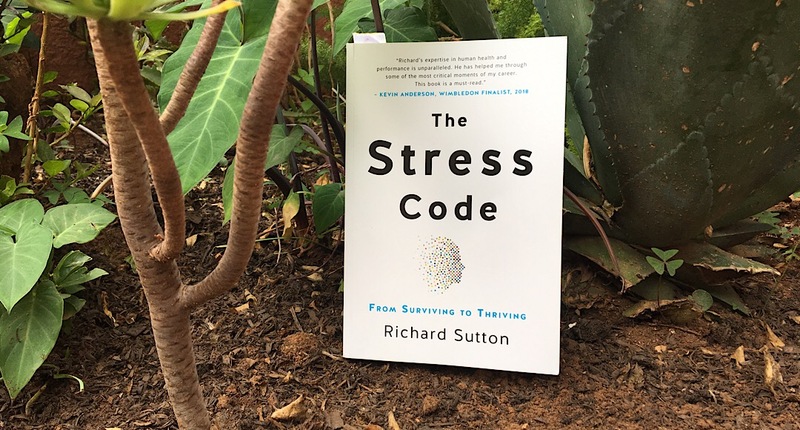 In Richard Suttonâ€™s book The Stress Code, he argues he has the answers to buffer the negative effects of stress, transform it into a positive thing, and still live life to the fullest. 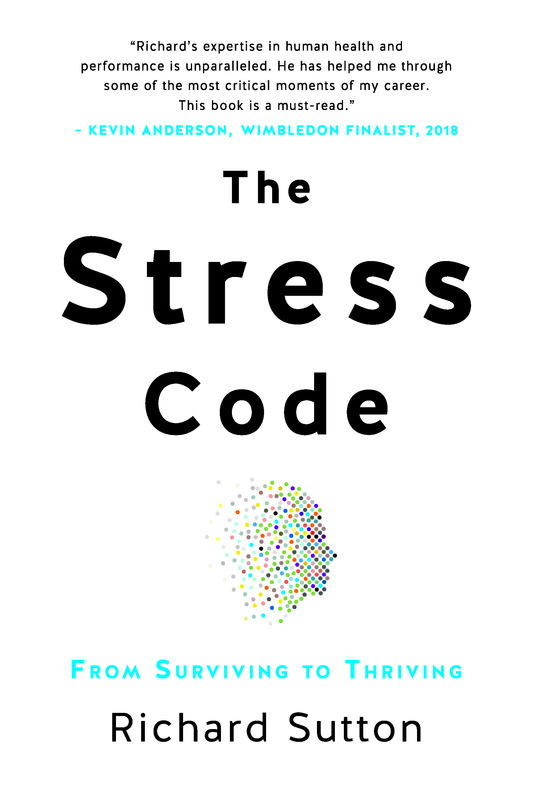 The book – a lengthy in depth look at stress – undertakes a scientific breakdown of the condition. Set out in an easy to read manner, each chapter tackles a different issue relating to stress. Sutton even lays out how to use the book. He says it’s designed to provide solutions for readers along every point of the stress continuum. The stress continuum being health stress, intense stress, relentless stress, and chronic stress which leads to burnout. In each of Suttonâ€™s steps for dealing with stress, he includes personal stress experiences. Disclaimer: the book might be helpful to some but at the end of the day each personâ€™s lived experiences and interactions with stress are different. There really is not size fits all solutions. Sutton himself says at the end of the book people need to be consistent and commit themselves in order to achieve success. According to Sutton, the first step to successfully managing stress in your life is to change the way you look at it. He says that acute stress – defined as stress in short bursts – can enhance and strengthen our abilities. In order to build up from stress avoidance to stress resilience, Sutton says a reevaluation should take place. This re-evaluation serves the purpose of adjusting the perception of all stress being bad. Changing the perception of all stress being bad can help protect health Sutton says according to research. Lastly Sutton says if people reimagine stress and its effects it will help the body to recover better from challenging situations. The second step of Suttonâ€™s plan is slightly more scientific in nature. It deals with the chemical oxytocin which is shown to have an effect on behaviour and self-perception. According to Sutton, scientific studies show that by increasing the oxytocin levels in our body, many of the negative effects of chronic stress are managed. The chemical oxytocin has the effect of promoting self-worth, confidence, and empathy amongst others. It protects the nervous system, brain and circulatory system. So Sutton argues by increasing oxytocin this leads to behaviour change. Oxytocin can be increased by building short, strong interpersonal relationships, and high rates of social behaviour. Sutton sells his book as a scientific response to stress resilience. He continues with that type of thinking in his third step which is shut it down. He says that one of the building blocks for stress resilience is the functionality of the vagus nerve. This nerve is one of the longest and more influential nerves in the body. Its primary role is the synchronising of the body and brain, and calming the body during the fight-or-flight state. Sutton says by increasing the activity of the nerve it builds up stress resilience. He says this can be done through massages, controlled breathing exercises, swimming, listening to music, and meditation. The last step to building resilience is rebuild and repair. Sutton believes neutralising the long-term effects of stress lies at a molecular level. Lifestyle changes will help people according to Sutton from the most severe life challenges stemming from stress. He proposes many different changes to make. They range from easy changes to ones that require a bit more work. Some of the changes are intermittent fasting, increasing sunlight exposure, and exercise routines. Sutton advises taking various multivitamins and drinking green tea to protect the body systems affected by stress. Published by Pan Macmillan, the book is available from all good bookstores and online.